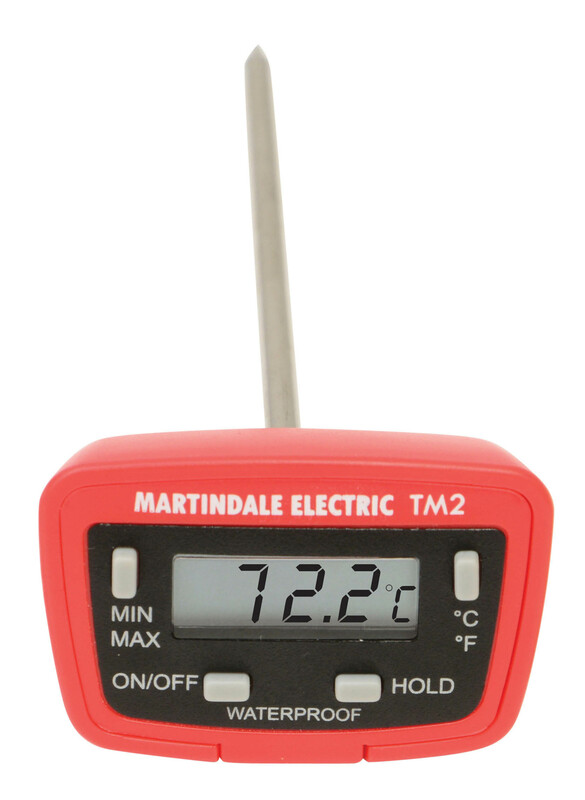 The TM2 is a rapid response pocket thermometer suitable for catering applications. It’s available in multiple colours including white, red and blue, making it easy to avoid potential cross contamination of different food types. The strong, thin probe tip makes it easy to use on all foods and ensures a fast and reliable reading with an accuracy of up to 0.5°C and resolution of 0.1°C. Useful features include the ability to record Min/Max values and a Hold function so that you never miss a reading. The TM2 is waterproof with a full IP67 rating and is supplied with a handy protective sheath. 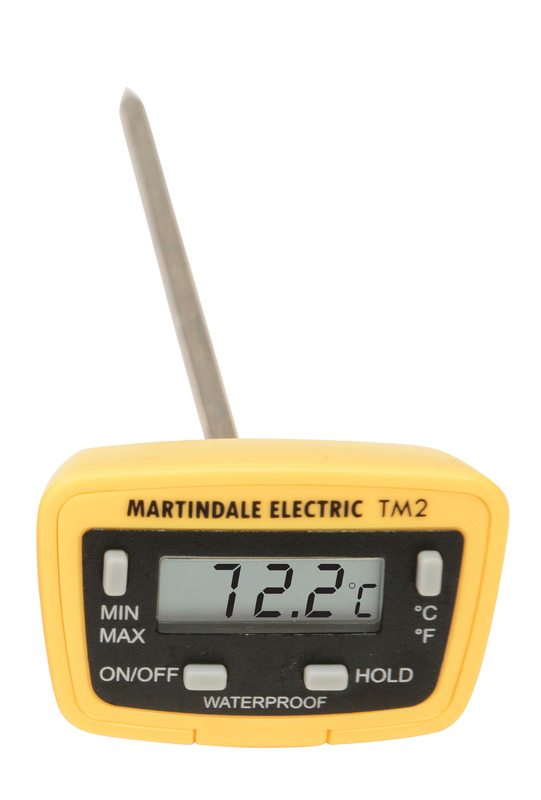 The display can easily be set to °C or °F and includes a useful battery level indicator.